One of the most important aspects to take into consideration when purchasing new clothing is to choose pieces that are loose fitting and comfortable for all-day wear. The less fabric that is touching your body, the less likely you’ll sweat, meaning you’ll stay cooler in the heat. You should also opt for clothing that is lighter in colour as dark colours such as black absorb more heat. Floaty maxi dresses or simply a pair of shorts would be an ideal solution for keeping cool, yet remaining stylish. However, if you’re in the plus size range, finding a pair that fit comfortably can often be a challenge. Plus size shorts can be hard to come by in the shopping centre, so if you are on the lookout for an ideal pair, pop online and visit Simplybe here to check out some stylish options. During the warmer months, you may be keen to ditch the bra completely. However, it’s not as simple as that if you feel you are in need of the correct support for your bust. It may be a solution to say goodbye to your usual padded bra and choose a more lightweight option such as a lace bralette. Too much padding can result in a great deal of perspiration, meaning a reasonable alternative may be the way forward. Lightweight materials such as chiffon are a huge no-no when it comes to picking out a summer wardrobe. They may look pretty on the hanger, but they are going to be a nightmare if worn on the hottest days of the year, as they are likely to stick to the skin. Also aim to steer clear of embellishments, beads or seams which may irritate. Fabric such as cotton is a natural and breathable alternative and is more inclined to keep you cool in the immense heat. Linen also has similar benefits and are a great replacement option to jeans which allow for better circulation. Both cotton and linen are easy to wash and keep you feeling refreshed all day, meaning they are the perfect choice for everyday summer wear. While it’s important to look stylish and summer-ready, it’s always worth noting that you’ll be better protected wearing clothing that covers the skin. Doing so will protect your skin from being exposed to the skin’s harmful UV rays. 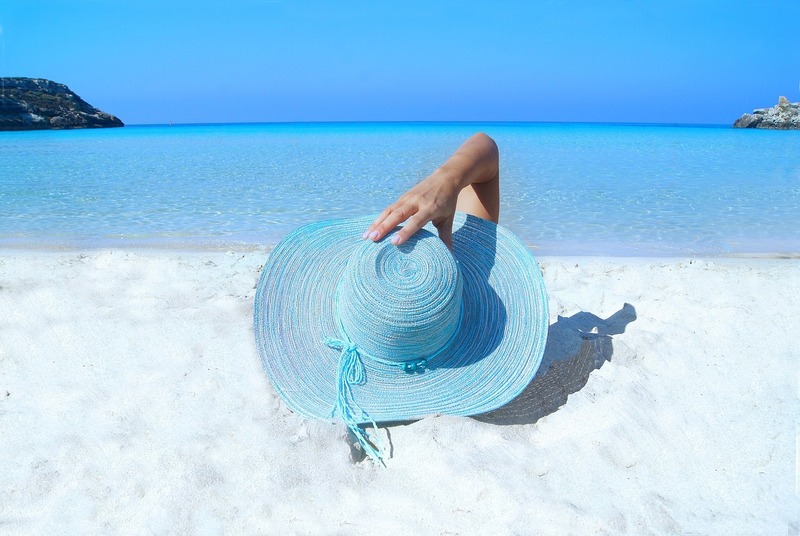 Shielding your head from the rays should also be taken into consideration, and it may be worth picking up a stylish sunhat to wear during lengthy periods of time spent in the scorching sun.